Greetings! 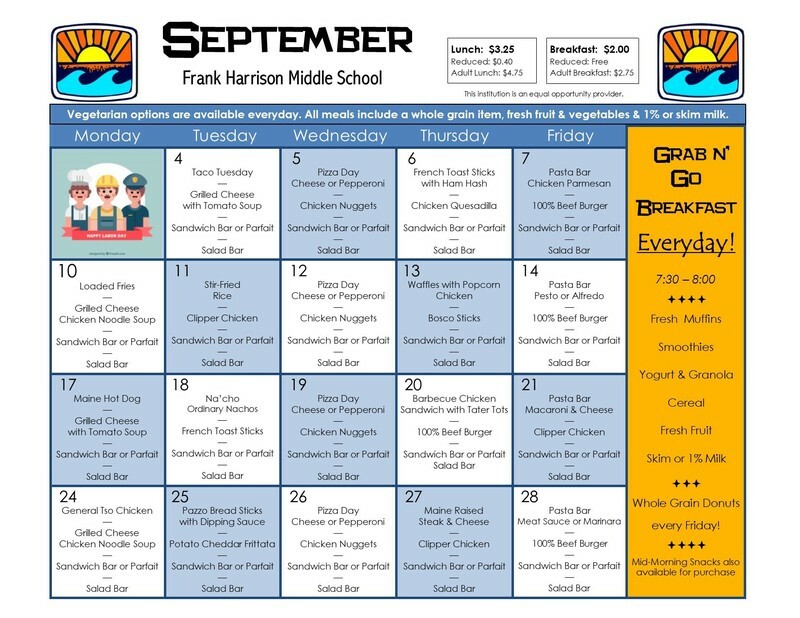 Every month we will post our calendar view menu to school news. You can also access the daily menu on the website's Nutrition tab, which is also connected to the Yarmouth School Department app. For more information about our meals program please refer to our Parent Letter.